Under the Belt and Road initiative, more of China's cultural and entertainment companies are looking to expand overseas. And this has turned out really well. 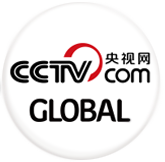 CGTN's Jin Yingqiao has more on how they're taking over airwaves.